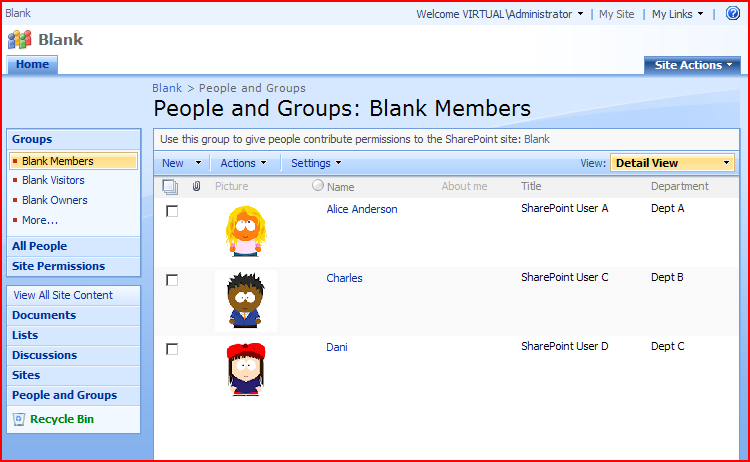 One of my pet peeves with SharePoint is the People and Groups pages. These are pretty damn complicated. … and so on. And if individual sites start to break from inheritance and define their own groups, you get even more groups. It’s possible (especially if the administrator of the system doesn’t understand what they’re doing – which is often the case) to end up with 3 times as many groups as sites! Frankly, this is enough to confuse me, never mind users. Trips into the People and Groups pages often takes me some time to understand what I’m seeing. And the worst part is that often users just want to be able ‘Give Fred access to this site’. They don’t care about other groups or other sites, permissions levels, or any of that jazz. It appears similar, initially – but the navigation on the left is the same as for the rest of our case site. 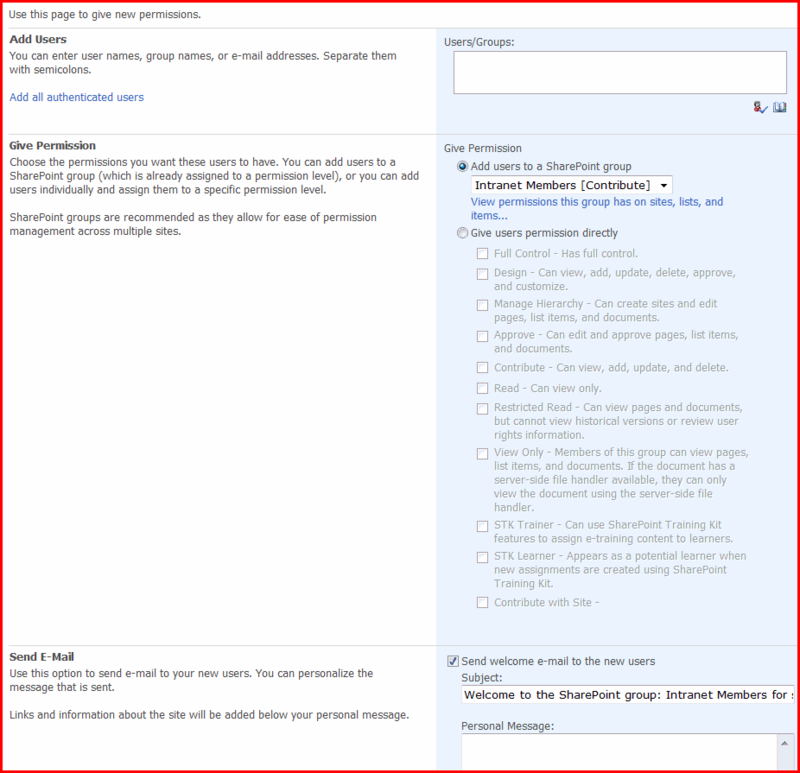 Only the relevant groups (“Case Workers” and “Case Owners“) are linked to on the left, and these links are only shown to users who can edit the groups (Home and Audit aren’t related to people and groups). Also, the menus on this page only let users add or remove users – which is all they should need to do. It just adds users to the appropriate group; you don’t have to worry about sending emails, or assigning individual permissions, and so on. Much tidier. Great concept. I like the screenshots with South Park figures. Can you speak more about how you did it? I like the end result, but I’m too lazy to try to figure out where you are making the changes. Sure. I’ll try and knock up a blog post about it over the weekend. And yup, I’m pretty happy with it too. Turns out I’m not the first person to consider how to simplify the permissions stuff: Ton Stegeman has an couple pf interesting posts, but providing a different sort of solution. Is it possible to view a list of groups that a person is a member of? 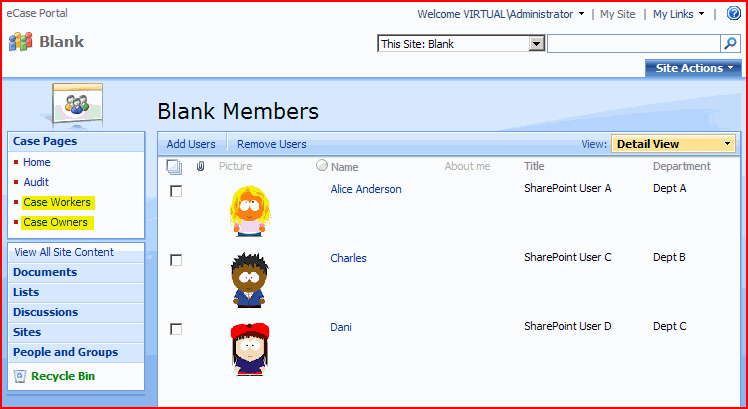 For example, can SharePoint User C get a list of groups he is a member of? Hmm. Not sure that you can do that through the user interface, out of the box, but the SPUser.Groups property does let you get this information through the object model. You could write your own control for it. This is fantastic, Andy. 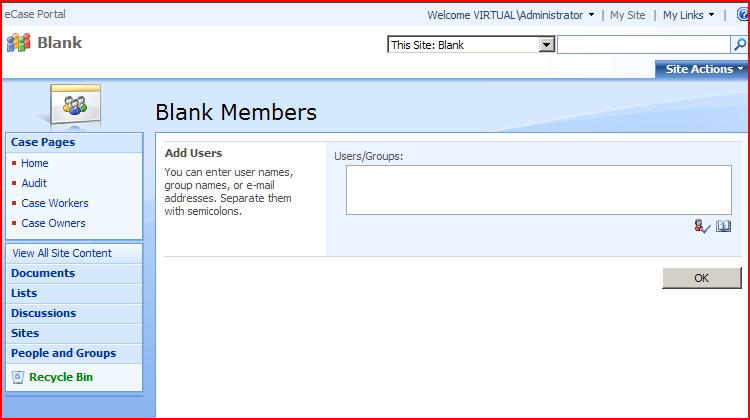 I’m all in favor of simplifying the SharePoint UI. Can you give a quick hint as to how you did this? I’m about to embark on a similar task, and I’m curious how far I’d be able to get without cracking open Visual Studio.